These spacious and stylish rooms make outstanding accommodation for your holiday in North Devon. As well as lovely views over the River Taw, many of these rooms have ‘floor to ceiling’ picture windows which flood the room with natural light. They are gorgeously decorated with plush soft furnishings in rich shades of aubergine, burgundy or gold. 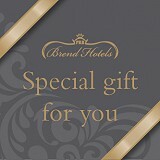 Choose from king size or twin beds, and we will also provide fresh fruit and Brend chocolates upon arrival. Gorgeous decor and plush soft furnishings in rich shades of aubergine, burgundy or gold.